Birds can cause a great deal of nuisance to businesses. From damaging and defacing buildings, through to aggressive attacks on staff and visitors and the spread of disease and secondary infestation, Falcon have been faced with and overcome, every kind of bird control issue imaginable, and provide 100% effective proofing solutions. All wild bird species, their eggs and nests are protected by law. Except in exceptional cases where the law or licensing allows, measures taken should include those that do not kill or injure the birds and should not be carried out during the breeding season. A nuisance pest that can cause unsightly mess with their droppings (guano) as well as potentially spreading diseases. 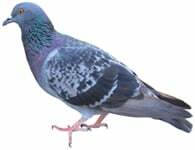 Falcon offers a solution to suit your pigeon problem, from netting and plastic spikes and wires through to trapping and hawking to scare them away from a site. As well as control solutions we also provide cleaning and proofing. With a lifespan of up to 40 years, nesting seagulls can be noisy and, when their young are in the nests they can act aggressively towards any perceived threat. 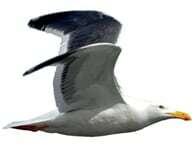 Experienced and fully licensed, Falcon has the knowledge and skills to successfully rectify your gull problem. We use access machinery (cherry pickers, scaffold etc) to remove old nests and proof your building against future nesting, as well as using our own prey birds as a deterrent. 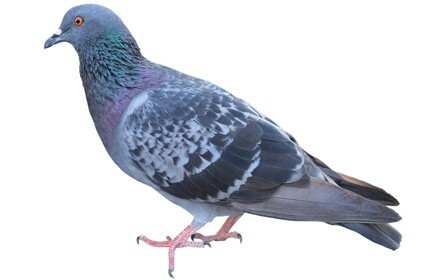 More often found by the coast and in rural locations, woodpigeon cause the same problems as feral pigeons but can also devastate seeded, growing and stored crops. 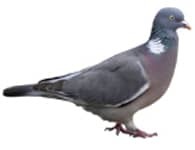 Falcon will assess your wood pigeon issue and the most appropriate deterrents, from hawking and scaring right through to food source removal and proofing to avoid future problems. 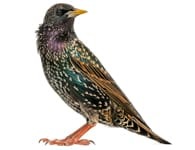 Starlings congregating in very large numbers can decimate crops, cause mess and spread disease between livestock facilities. Falcon’s remedial action includes netting, gels and audio deterrents. 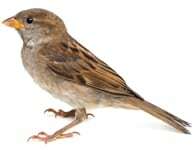 Feeding on grain, seeds, fruit and flowers sparrows can be a serious pest in agricultural and market garden areas. Proofing potential nesting areas with netting and blocking access are the best remedies. Like all wild birds, gulls are a protected species and removal during the breeding season is licensed. Gulls may act aggressively when feeding or protecting fallen young and flat roof nesting sites can quickly become colonies. Falcon will deny gulls nesting sites through bird proofing methods that include netting, wires and spikes.